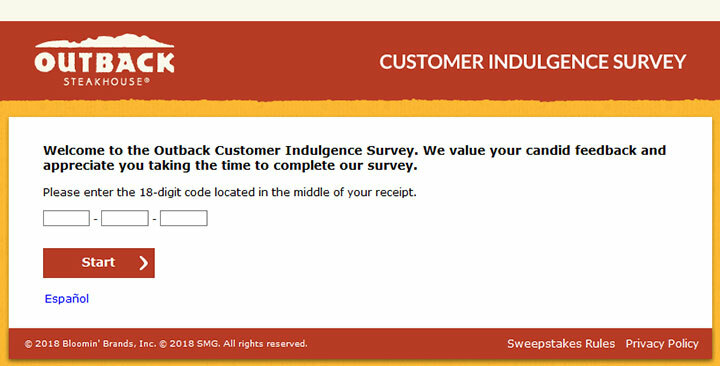 The Outback Customer Indulgence Survey, found at www.TellOutback.com, is an online questionnaire designed by Outback that helps measure customer satisfaction of products and services. The company uses this information you provide to improve many things, including the atmosphere of the store, specific products, and customer service. This survey is completed online for your convenience. You are not required to participate in the Outback Customer Indulgence Survey, but there are many benefits if you do so. One benefit is that you will have a chance to voice your opinion. Many people think it is important to tell a company what works and what doesn’t, and this could be your chance. Outback Steakhouse is an establishment that brought Australian Cuisine to the the restaurant world in 1988. The chain has headquarters in Tampa, Florida and more than 1,200 stores spread about the world. The chains serve 21 countries including North America, Japan, Brazil and Australia. The company revenues more than $3 billion, and has more than 80,000 employees. Outback offers delicious entrees and unforgettable appetizers to all members of the family. Some its most famous appetizers are the Bloomin’ Onion and the Aussie Fries. Outback has four owners, and they are Bob Basham, Trudy Cooper, Chris T. Sullivan and Tim Gannon. Have your recent Outback receipt that contains an invitation for the survey. If Spanish is your preferred language, click the blue hyperlink that says “Espanol” under the start button. Then proceed to Step 3. Enter the 18-digit code from your receipt into the text box. You will have to tab over to the next text box, as it will not do so automatically. This code will be found in the middle of your receipt. Click Start when ready. You will be asked some questions about your most recent visit. These questions will span over a few web pages. Answer them honestly and thoroughly, using text boxes when available. At the end of the survey, you will have the opportunity to enter for your chance to win a $1,000 grand prize or 1 of 80 $50 gift cards!